Mr. Robert “Bobby” Fiddler, late of Prince Albert, SK, passed away on Friday, April 12, 2019 at the Victoria Hospital in Prince Albert, SK. 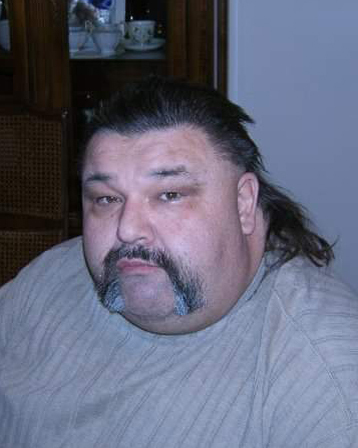 Bobby is survived by: his children: Tyrone Sauve, Duane Sauve, Jacqueline (Terry) Sauve and Kyle McCormick; his grandchildren: Kailer Sauve, James Fiddler, and Keaton Sauve; his mother: Berniece Fiddler; his sister: Valerie Fiddler; his nephews: Dionne (Daisha) Fiddler and his girls: Dacianna and Jamielyn; and Chase Fiddler; his sister-in-law: Rhonda Vermette; as well as numerous aunts, uncles, cousins and friends. Bobby was predeceased by: his father: Melvin “Tiny” Fiddler; his brother: Jamie Fiddler; his grandparents: Mary & Wallace Monkman and Peter & Josephine Fiddler; Kyle’s mother: Vicky McCormick; his lifelong partner: Tracey Larocque; as well as numerous aunts, uncles and cousins. When Bobby was growing up in the West flat he played hockey and ball. He later went on to coach midget hockey for years as well as umpire ball. He made a living selling fish and posts down south for many years. Bobby enjoyed driving around PA with friends with a diet Pepsi for hours on end. He also had many fur babies in his life, but nothing could compare to his “Runt”! A Celebration of Bobby’s Life will be held at 11:00 am on Thursday, April 18, 2019 at Nordale Community Hall, 1306 6 Ave NW, Prince Albert, SK. Family and friends wishing to send online condolences are welcome to visit www.beaulacfuneralhome.com. Arrangements have been entrusted to the care of Beau “Lac” Funeral Home, Marianne Turcotte, Funeral Director, Prince Albert, SK 306-763-3322.